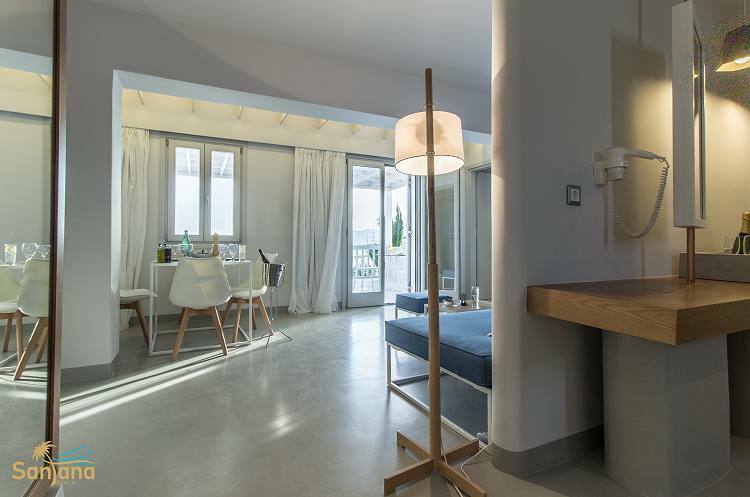 Beautifully situated on the sand, Santana Beach Suites offers an elegant accommodation for a perfect holiday on Naxos Island. 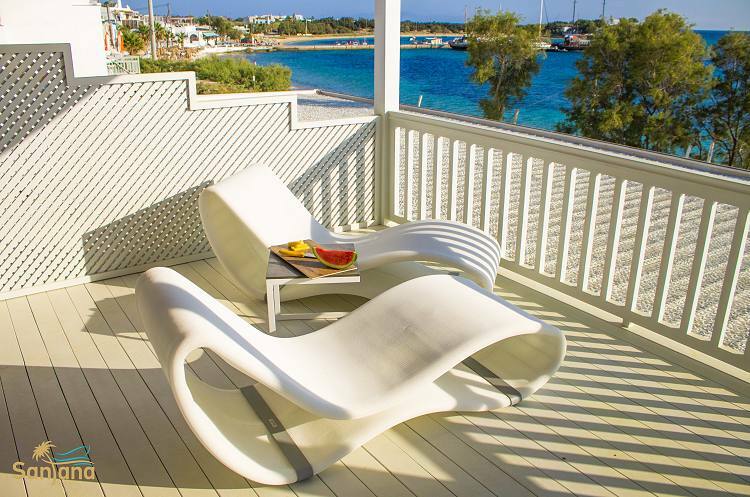 The suites have balconies to relax and watch sea and the amazing sunset. Their superior location allows you to pop in and pop out of the sea or, relax and have a cool drink in the shade of our parasols. The suites offer spacious living areas and balconies and they boast deluxe furnishings. 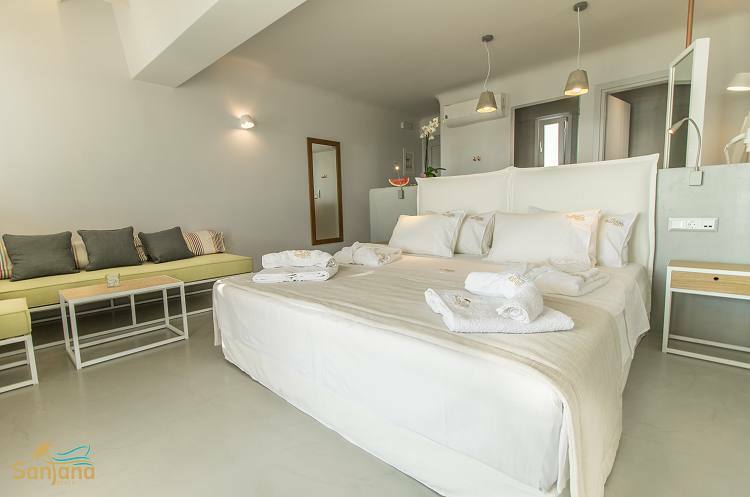 They offer privacy and relaxation, providing the perfect holiday environment. Facilities and services include air-conditioning, refrigerator, free Wi-Fi internet access, daily maid, hair-dryer, toiletries.